This book has the purpose of developing an understanding of the factors determining and influencing the shear behavior of soils, with emphasis on composite soils, as they are the most encountered materials in geological and geotechnical engineering in mountainous areas. This objective is reached by examining the soil compressibility, structure of shear zone and its evolution, and water content of shear zone and shear mode of soils together with analyses of the influences of intrinsic properties, e.g. Atterberg limits, particle size distribution, particle shape, and testing conditions, e.g. normal stress and shearing rate. An in-depth review is presented in an approximately chronological order and covers almost all the factors that are believed to influence the mechanical behavior of soils. The equipment and test techniques for shear strength of soils are detailed. The residual shear behavior of composite soil is investigated by means of a systematic laboratory testing program using a large ring shear apparatus and an intermediate direct shear box. The Fast Fourier Transform is employed for the first time to analyze the fluctuations of measured shearstress and discovers the close relationships with both intrinsic properties of soils and testing conditions. Although the book is aimed primarily at researchers in geological and geotechnical engineering, it contains material of interest to students of geology and soil science and also should be a useful reference for practicing engineers faced with composite soils. "…an indispensible reference in graduate teaching and research and particularly in the practice of stabilizing dormant landslides. The author, Professor Li, has continued to work on the topic in past years and published most components of his research in a variety of journals. 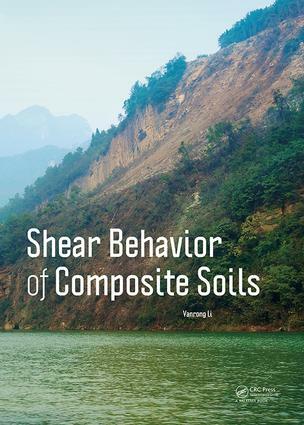 This book successfully combines these research outputs making it a one-stop reference on residual shear strength of granular and composite soils. " Prof. Adnan Aydin, Professor of Geology and Geological Engineering, University of Mississippi, USA. Li Yanrong was born in Shanxi Province, China, in 1978. In 2000, he received a BEng in Hydrogeology and Engineering Geology from Taiyuan University of Technology, in 2003 an MSc in Geological Engineering from Chengdu University of Technology, and in 2009 a PhD degree in Engineering Geology from The University of Hong Kong. He is now a full professor of Engineering Geology at the Taiyuan University of Technology. His research interests include engineering properties of soils and rocks, tunneling engineering, and geohazard investigation and mitigation. He served as an Associate Editor of KSCE Journal of Civil Engineering from 2012 to 2014 and now serves as an Editorial Board Member of Bulletin of Engineering Geology and the Environment. He is a Chartered Geologist (CGeol) of the Geological Society of London, and a Professional Member (MIMMM) of The Institute of Materials Minerals and Mining.